British Airways has released the first official details of ‘The First Wing‘ at its London Heathrow home. 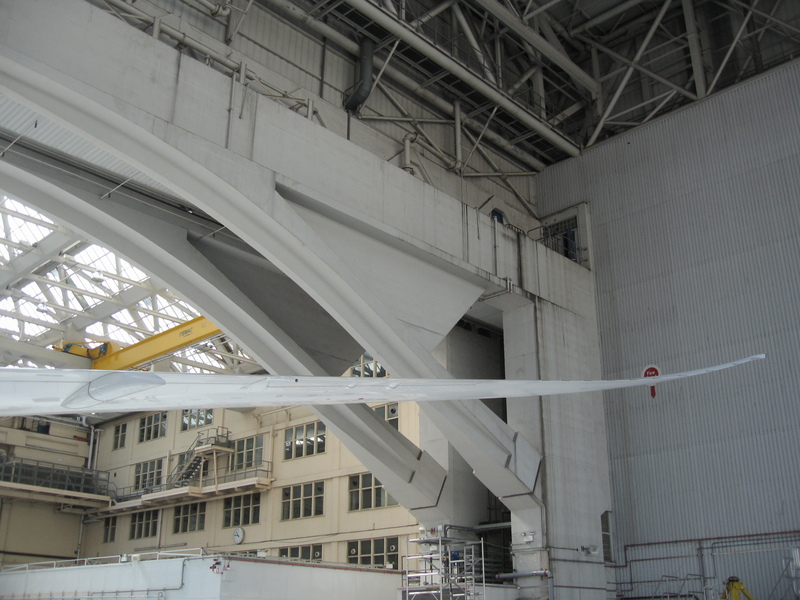 The First Wing will encompass and enlarge the existing First Class check in area at the South end of Terminal 5, linking through to new security channels which, for the first time, will allow eligible passengers direct access to the carrier’s Galleries First Lounge. 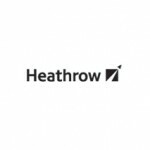 The First Wing will be open to members of the British Airways Executive Club at the Gold tier and above, as well as to Emerald cardholders of oneworld alliance frequent flyer programmes and, of course, to all those travelling in British Airways’ First Class. The latter will also enjoy direct access to The Concorde Room. 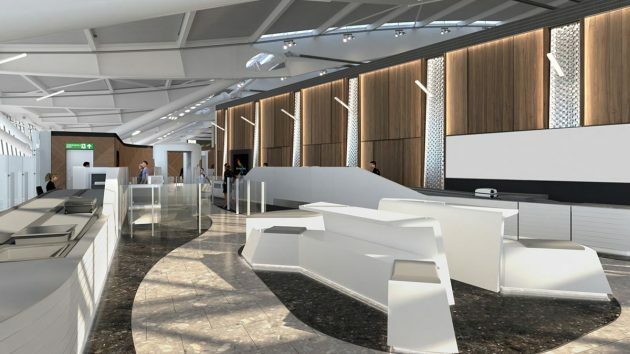 The check-in area is 250% larger than the original First Class zone, and The First Wing is defined by a three metre high and 29 metre long curved wall, which serves to guide passengers through to the lounge complex. The First Wing is slated to open in early April 2017. 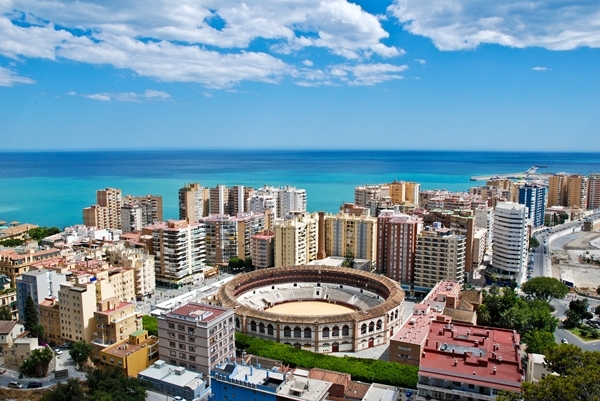 For more information, visit ba.com. Standing 87 metres or 318 feet tall, few passengers travelling through London Heathrow Airport can miss the still relatively new control tower, which became operational in 2007. 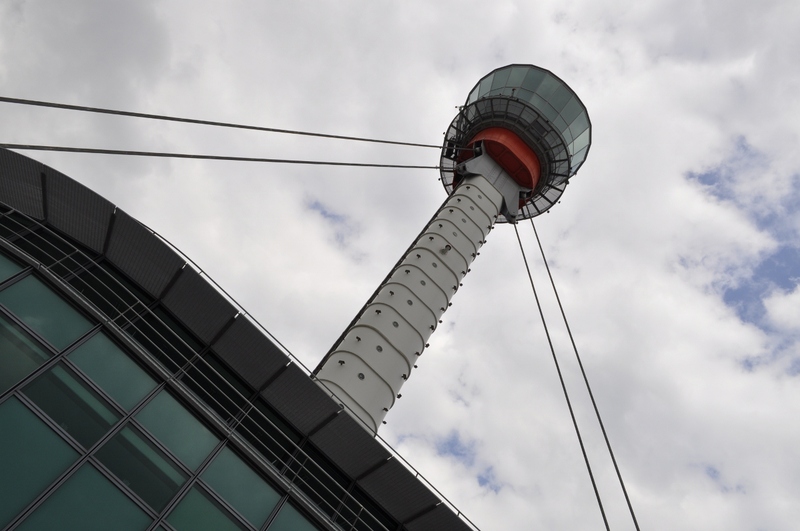 Despite its almost omnipresence through the windows of terminal buildings and aircraft alike, it’s unsurprisingly somewhere that few outside the ranks of NATS (formerly National Air Traffic Services) employees and suppliers ever get to see from the inside out. So the invitation to accompany a small group, hosted by British Airways, was accepted with lightning speed. 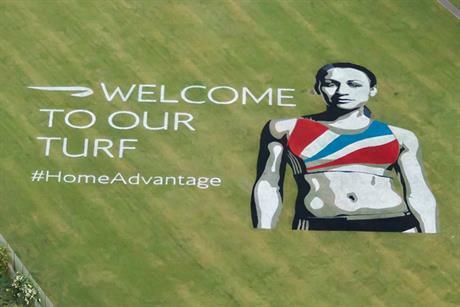 If you are flying into Heathrow Airport this Summer, look out for a giant painting of Team GB Olympian Jessica Ennis on the ground below before you land. 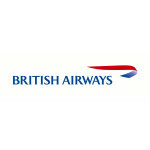 The Welcome To Our Turf image is part of British Airways‘ support for Team GB and Paralympic GB athletes, as well as the London 2012 games themselves. To follow the progress of the teams, search online for #HomeAdvantage. 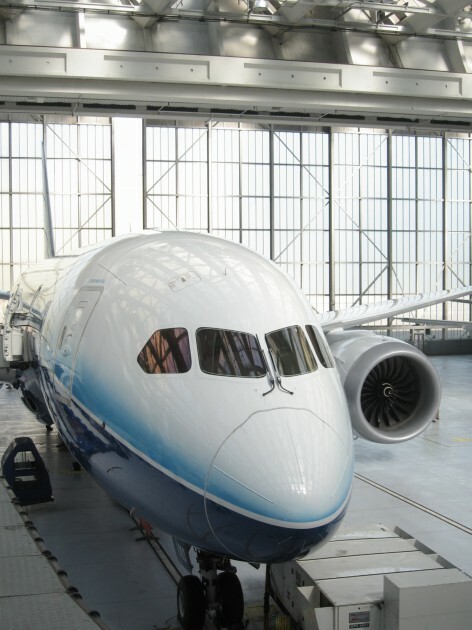 April 30th 2012 saw the Boeing 787 Dream Tour land at London’s Heathrow Airport, and aircraft number N787BX was formally welcomed into one of British Airways‘ gargantuan hangars at the Eastern end of the airfield. The event also marked the official re-opening of the hangar following its conversion to handle all the aircraft types in British Airways future fleet programme, including the Airbus A380. The hangar, built in the 1950s and now Grade II listed by English Heritage, features unsupported internal arches specially-designed by the late Sir Evan Owen Williams, whose other projects included London’s original Wembley Stadium and The Dorchester Hotel, the Daily Express buildings in London and Manchester and even the M1 Motorway.